Catherine Denton: Mom, Take Back Your Mornings! 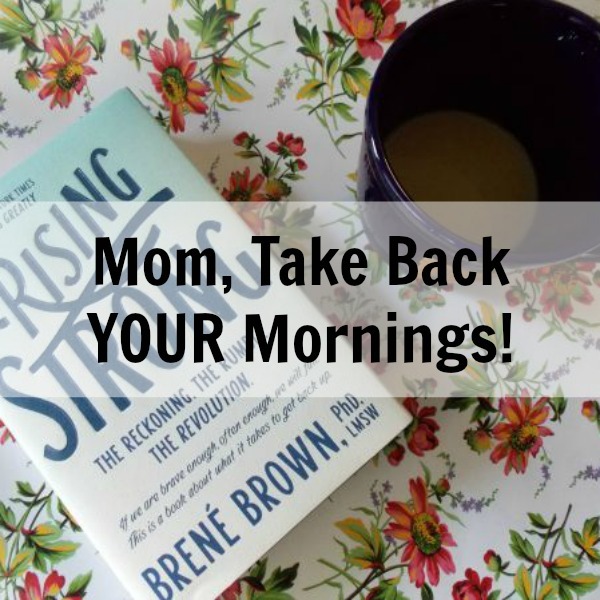 Mom, Take Back Your Mornings! Mornings are the most difficult time of day to keep simple. Everyone is rushing, there are breakfasts to be eaten, bags to pack and places to go. But it's important to give everyone a happy head start ~ including you! Here are some ways to take back your mornings and enjoy them! 1. Help your children choose their clothes the night before. Allow them be to be part of the process and work to come to a mutual conclusion. The nice thing about doing this is that if there is going to be a battle, it won't be right before you're walking out the door! You might want to start early in the evening to keep from delaying bedtime, since sleep is also a key factor to having a great morning. 2. Create a capsule wardrobe for them. Basically this is simply choosing a set of clothes that are easy to mix. Do the colors go together? Does the material or style work well with other items? You may not be able to do this 100% but I would recommend trying. This way, no matter what shirt they pull out, it will go with any of the bottoms. Of course you will want to be okay with what is going into their set in the first place so there won't be clothing you're opposed to. Having said that though, be sure to embrace your children's unique style; clothing is a fun way to express yourself and children are geniuses at this. If your favorite colors are earthy and your daughter loves brights, give a little and let her express her artistic side. Children are simply little people with their own preferences and tastes. It's best to honor that and work together towards an agreeable end. 3. Put special clothes out of sight. Store clothes elsewhere that your children always want to wear but either can't be worn except special occasions, or are only for the weekends. Not seeing the temptation can help with struggle. BONUS TIP: Make a capsule wardrobe for yourself to simplify your morning even more! Own your unique style and let it reflect you! What is your biggest challenge to having a calm, simple morning? Thank you, Jamie! I am!